Lacey Black is a diversified entertainer, playing to the unique atmosphere of each venue and audience. She is an accomplished songwriter, pairing compelling narratives surrounding the human condition with distinctive musical ability. 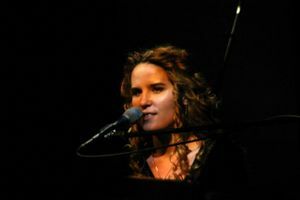 Her original songs and robust repertoire of covers keep audiences engaged throughout the show; she is aware of nuances in musical tastes and has the skills to cater to a wide demographic and relate to the audience in a way most performers can’t. She brings her prowess on piano and guitar to the roof at Chipeta Solar Springs Resort Sky Bar to accompany the spectacle of the setting sun.